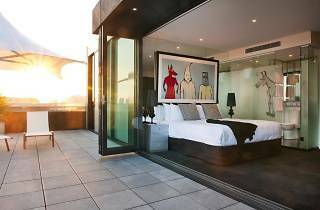 The Cullen – located two minutes’ walk from buzzing Chapel Street – was the first creation by the Art Series Hotel Group, whose hotels blend the visions of some of Australia’s most influential modern and contemporary artists with clever design and seamless service. 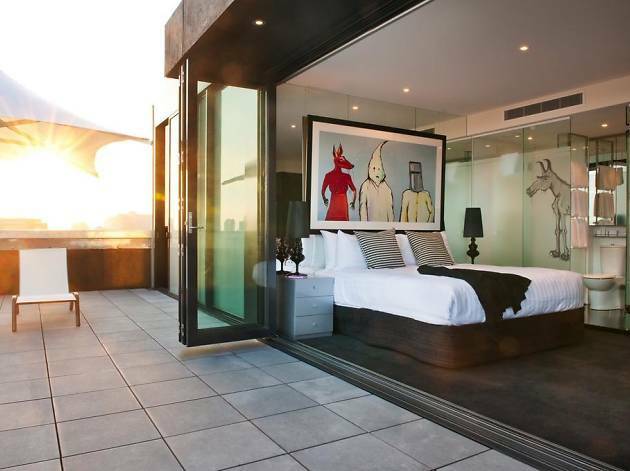 Every room of the hotel, from the compact studio suite to the sprawling penthouse, pays tribute to Sydney artist Adam Cullen, thanks to a large private collection of his work. The option of hiring a Smart Car, bicycle, pram or scooter makes getting around easy, whether you’re exploring Melbourne’s trendy inner south or venturing further afield. Time Out tip: In the last two years, the neighbouring suburb of Windsor has become one of the city’s hottest dining strips. Head north on Chapel Street and you’ll find top-notch bars and restaurants, including Malaysian eatery Hawker Hall, Mexican favourite Fonda, and Jungle Boy – a secret tiki bar located behind a sandwich shop, accessed through the door of a fake fridge (so Melbourne! ).